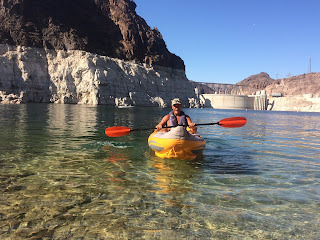 Today was a beautiful day to kayak the lake side of Hoover Dam. 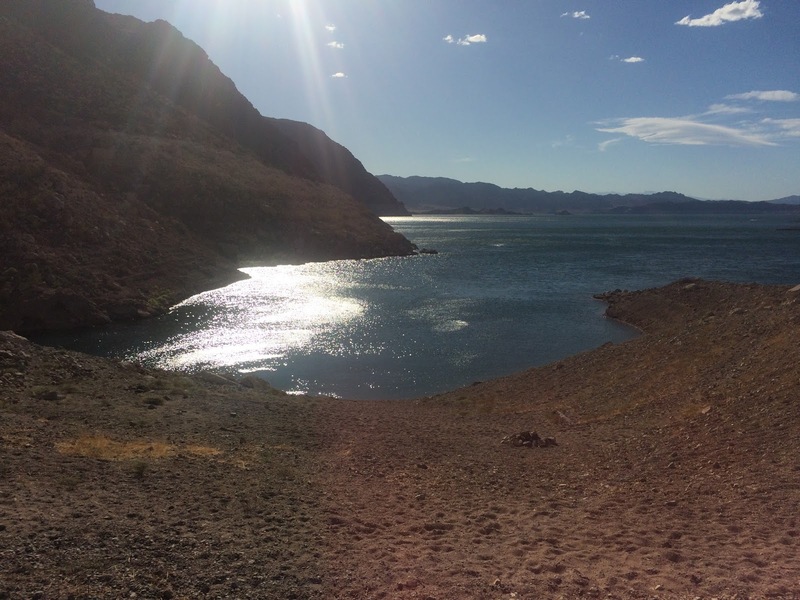 Due to lingering heat, Arizona Hot Springs and Gold Strike Hot Springs trails will be closed until October 1, 2015. It was a beautiful day at the lake. 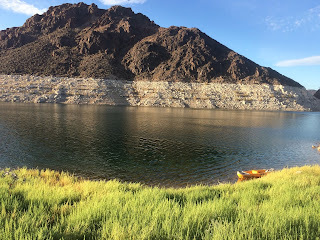 There were challenging 32 mile per hour winds, but otherwise a beautiful day. 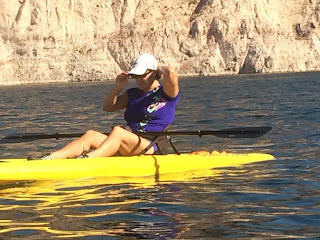 September 1, 2015 Still enjoying the warm sunshine. 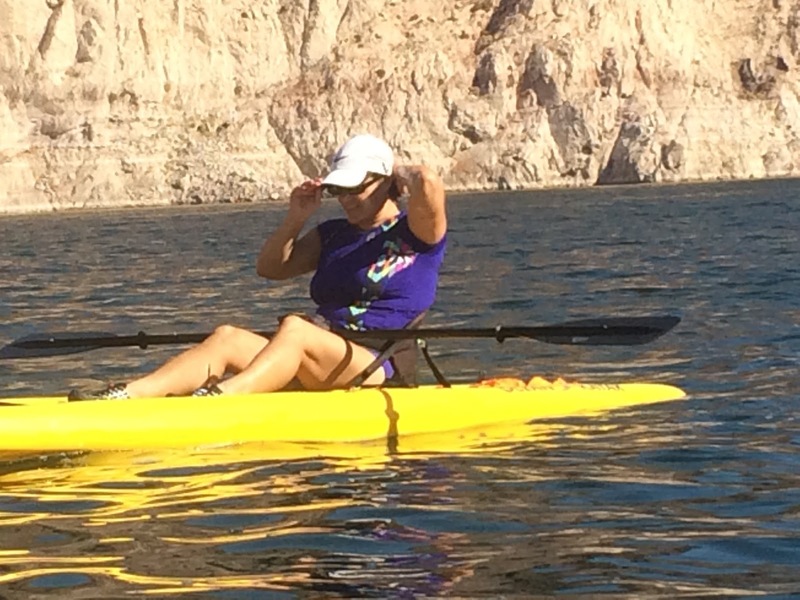 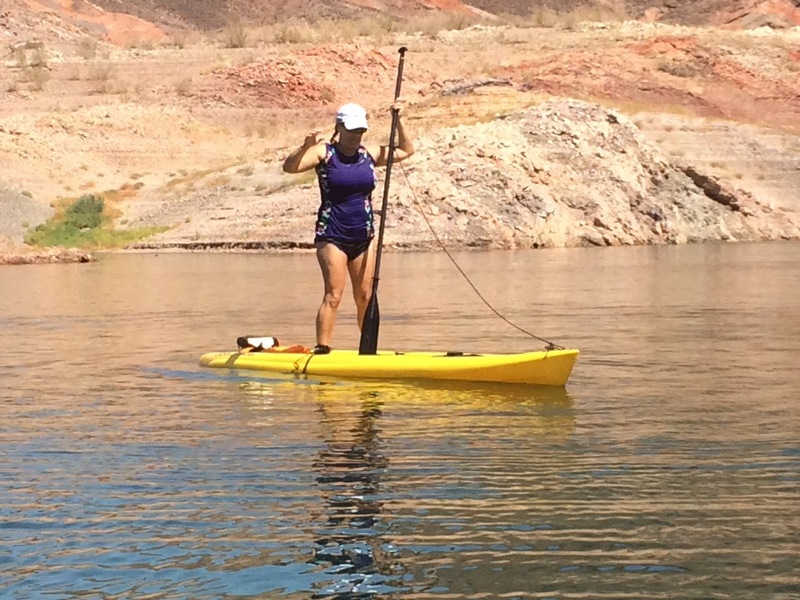 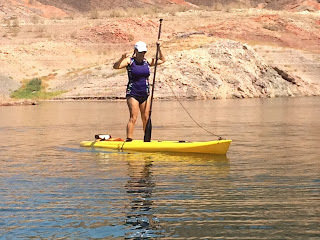 As summertime comes to an end, I am still enjoying kayaking and exploring different coves in the Lake Mead area. Still lots of warm sunshine.